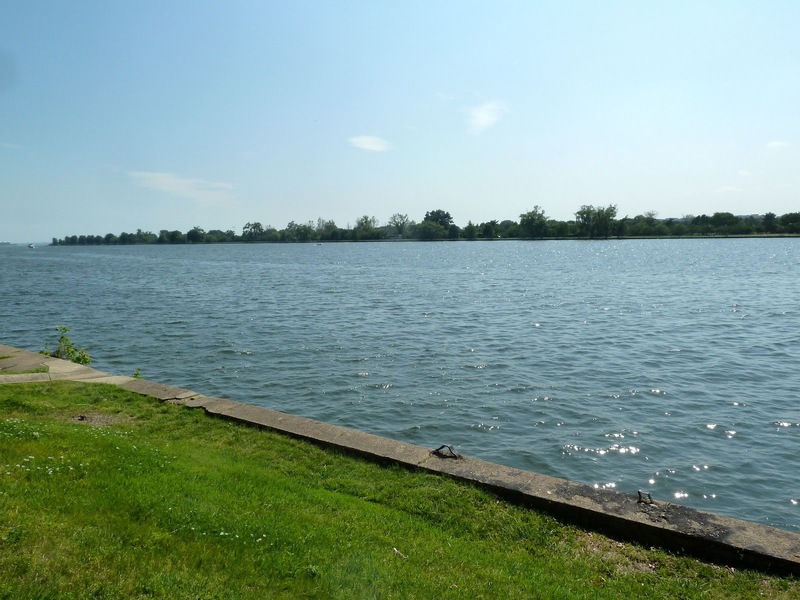 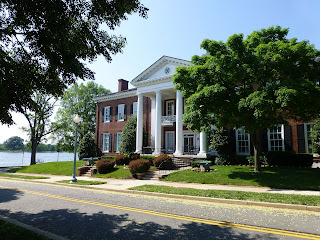 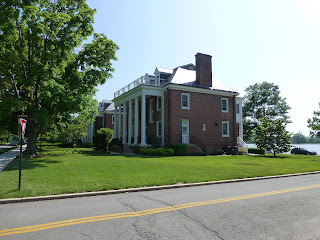 After visiting Fort Myer we went over to Fort McNair, an Army post located on the tip of Greenleaf Point that lies on a peninsula at the confluence of the Potomac and Anacostia Rivers in D.C. 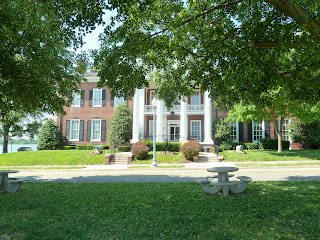 It has been an army post for more than 200 years established in 1791. 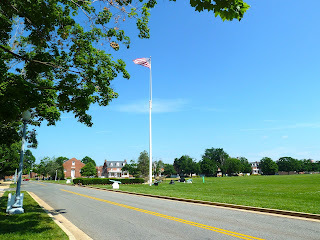 An arsenal first occupied the site and defenses built;however, this did not halt the British in 1814. 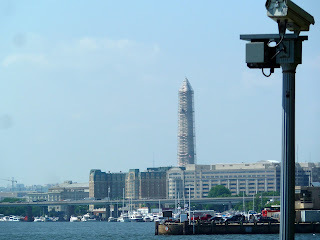 In 1826 the first federal penitentiary was established. 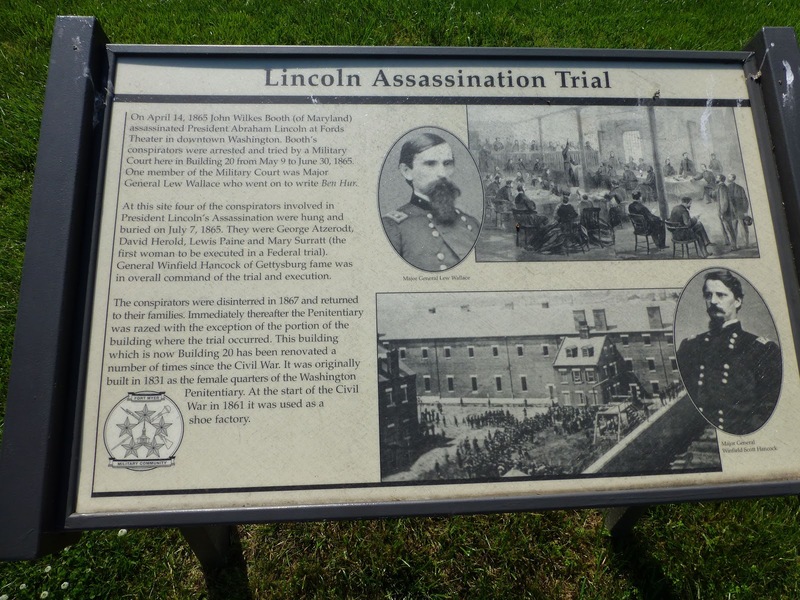 The conspirators accused of Lincoln's assassination were imprisoned and four were hanged here including Mary Surratt. 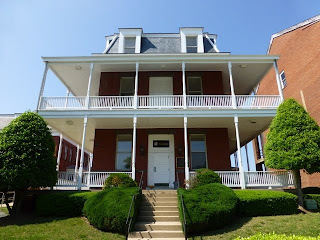 In 1857 a hospital was built next to the penitentiary. 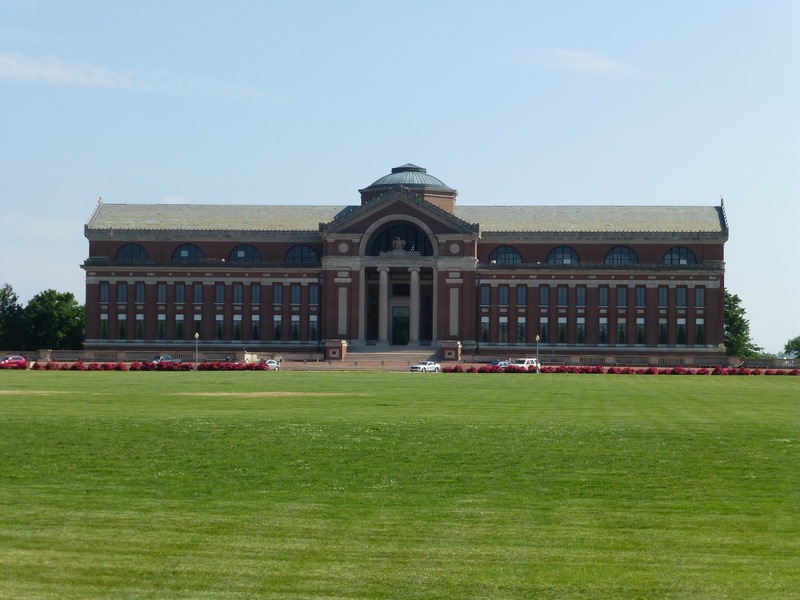 In 1881 the arsenal was closed and the post transferred to the Quartermaster Corps. 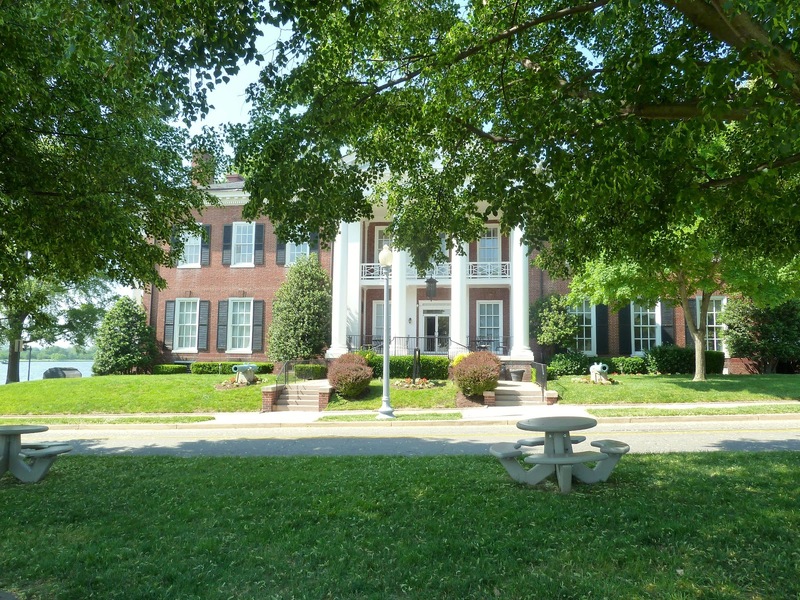 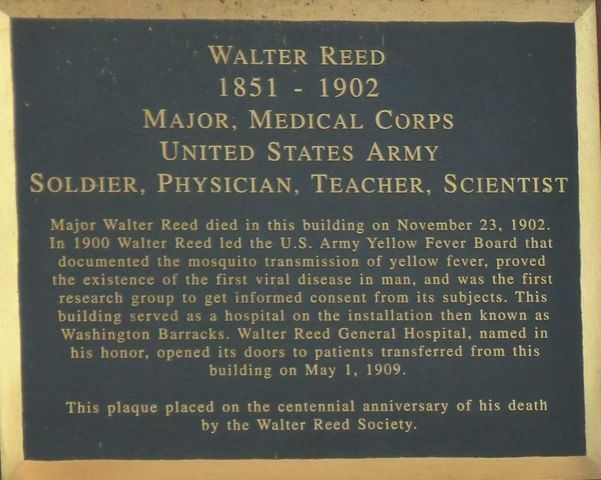 A general hospital predecessor to Walter Reed was located here from 1898 to 1909. 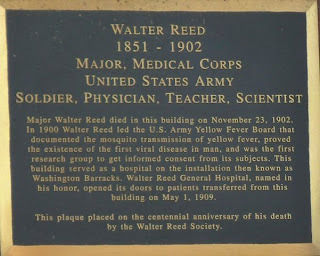 Maj Walter Reed lived on the post while doing his research on the cause of yellow fever. 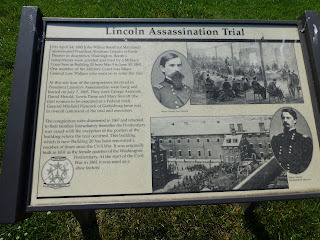 He died in 1902 after appendectomy caused peritonitis. 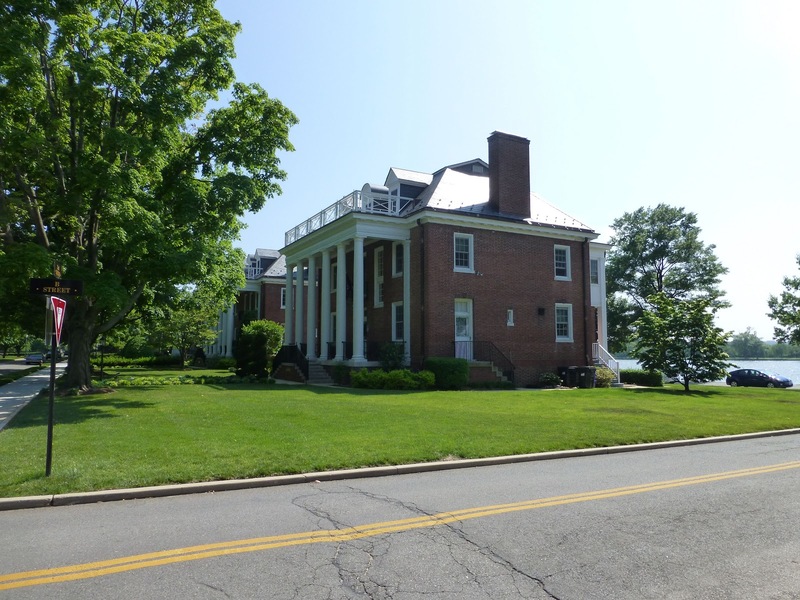 Fort McNair is part of the Fort Myer community and is home of the National Defense University as well as the official residence of the US Army's vice chief of staff. 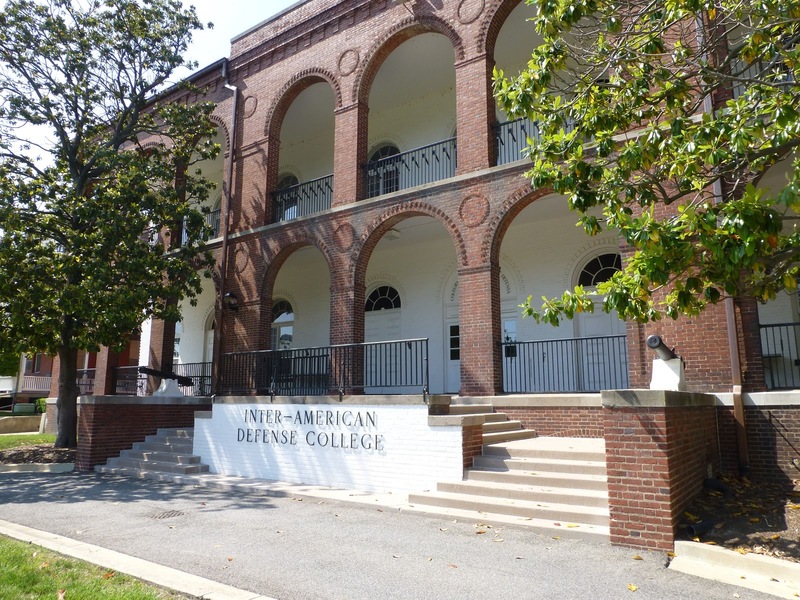 The United States Army Center of Military History is also located at the fort. 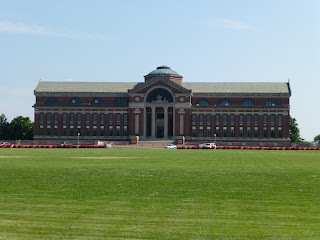 Roosevelt Hall that houses National War College is an immense building in the Beaux Arts style. 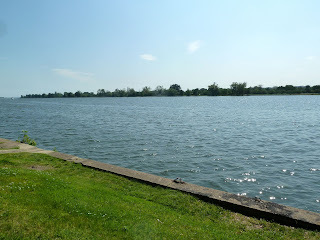 The setting of the fort is very scenic and serene.